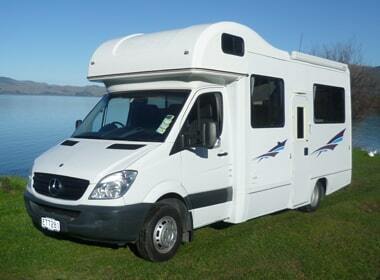 If you are planning a New Zealand holiday, we have a full fleet of Motorhomes for you to hire. Our Motorhome hire service includes 2-person, 4-person and 6-person motorhomes in a variety of configurations so you can find the perfect vehicle for your adventure! 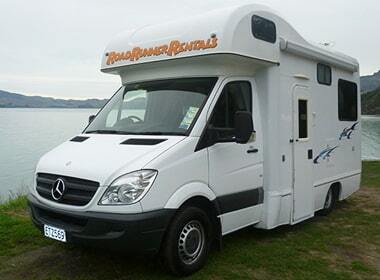 We have two convenient locations for Motorhome hire, one in Christchurch and one in Auckland. Both locations are nearby the major airports in these cities, and we can also assist you with airport pick-ups and drop-offs where required – just let us know! All Motorhomes hired from Road Runner Rentals include 24/7 roadside assistance, unlimited kilometres and no hidden costs. View our current range of 4-person and 6-person Motorhomes below, and book online today! View our full range of 4-Berth Motorhomes available for hire in New Zealand. View our full range of 6-Berth Motorhomes available for hire in New Zealand.